Microservices is an application architecture that assembles applications from discrete components and services that are loosely coupled. These components and services are linked together over a network and interact via APIs. By working with decoupled components, you can change and update individual elements without having to update the entire application stack. This can speed up release cycles and enable more flexible operations. At the same time, however, distributed systems can be vulnerable to issues such as latency and connectivity problems. 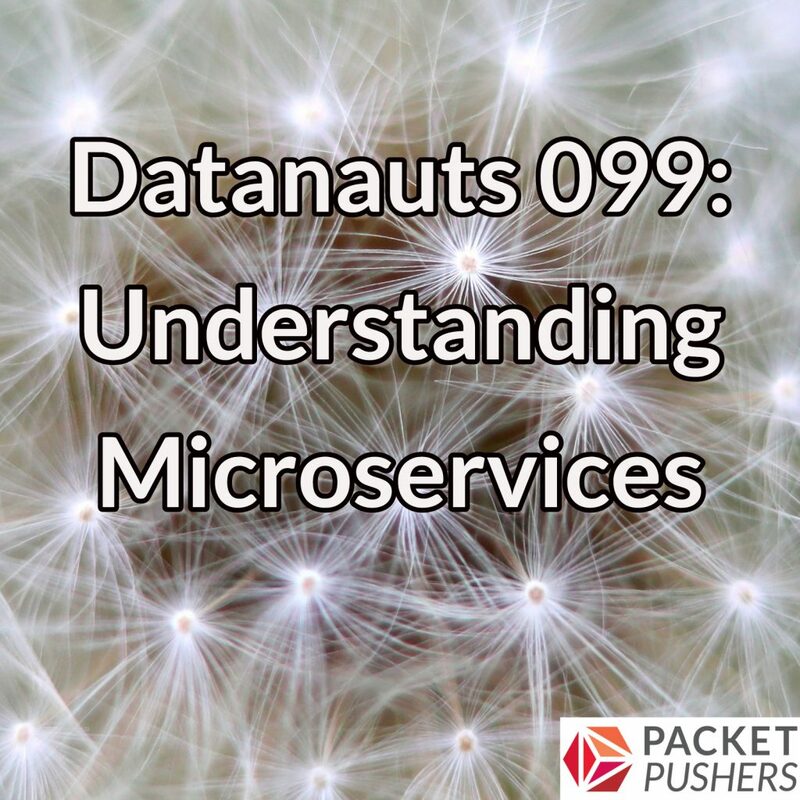 The Datanauts drill into the pros and cons of microservices to help you understand if this is the right approach for your organization. They also look at the infrastructure impacts of this architecture, and discuss ways to transition to microservices without blowing up your applications. They also look at the relationship between microservices and cloud native applications. Our guest is Bryan Boreham, Director of Engineering at Weaveworks. This is a very important topic, since the cloud is changing architectures for everyone, network, security, application, operations, etc. Listeners should also enjoy Datanauts #98 on application architecture. Some other references I can recommend are: Microservices, by Lucas Krause (application architectures) and Zero Trust Networks by Evan Gilman and Doug Barth (security architectures). Nice podcast. You asked all the right questions. Really great show with some excellent comments and questions. Excellent work, please keep investigating these types of topics.